Here's how you can use social media trends for your content to the fullest. Topical Content – every other person in digital media is obsessed over this word. Leveraging an actor’s wardrobe malfunction or a politician’s new announcement had never been this important for digital marketing channels of the brands. Social media trends are crucial than ever for brands and their content marketing activities. As the brands and social media channels are getting personalised and closer to the users, the content is also getting revamped. As we know, content on brand’s social media network has ceased being about just the products and services. 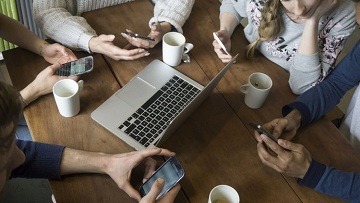 People are getting wiser and brands are looking for a non-intrusive way to be on the social media feeds of the users. What makes social media trends so important? Consumers / users feel more connected to the brand if it is aware of the events happening around them. Talking about the trends gives brand a human face that leads to better brand recognition. 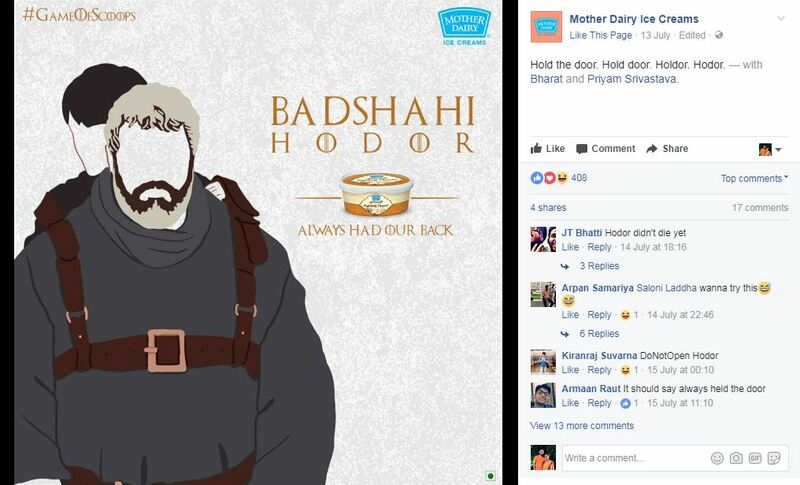 We can’t find a better example of topical / trending ads than Amul, or The Minimalist. How to use the trends for the content? First of all, you need to understand if the current trend resonates with your brand values or brand communication and tone. A little humour does not hurt, however, if the social media platforms have a to-the-point or serious tone, you should not go completely out of the uniformity or the basic style. The content should match and portray the company culture. Never try too hard to create the content based on the trending topic. Sure, there are ways where two brands from totally different sectors to use news and trends to create the content. For e.g. 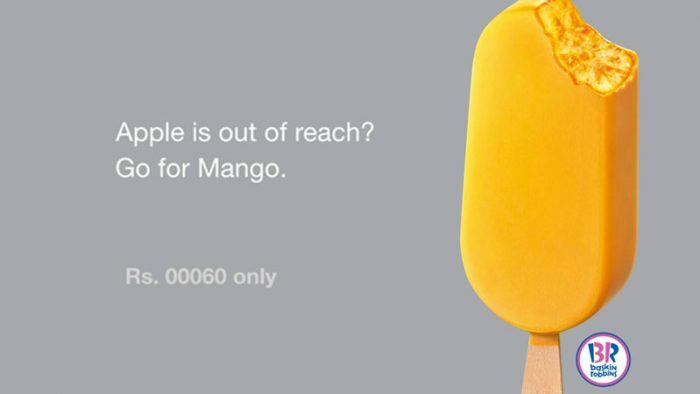 this ice cream brand cashed on the Apple X launch with a witty headline. However, it should only be done when it looks super spontaneous and flowy. If you’re trying too hard, audience will not spare you at all. Do not do something just because your competitor is doing. Every trend cannot be your topic. There are SO MANY things happening around us all the, but you can’t dwell on all of those for your content inspiration. Not all the events can be a topic for your content. Hootsuite, Mention, BuzzSumo, Brand24, etc. However, you must also keep a constant look on Facebook, Twitter, and Instagram insights that are specifically tailored to offer you the details about your brand pages and the performance. As we’ve seen, video is still the king when it comes to content format on social media. 74% of all the content consumed on Internet is in a video format. However, it is also important to note that 85% of Facebook videos are watched without sound, owing to the situations in which people are watching those. So when you create a video for social media make sure it’s still as impressive without sound or music. If Apple X launch is trending, you will have to create a video that relates to your industry. Some travel websites create a video snippet that compare price of trips to various places to the price of latest iPhone. The number of tweets with infographic is 100X higher than tweets without it. Infographics are easier to understand for the people because of the visual element. Infographics are the easiest way to explain the topic while being creative at the same time. 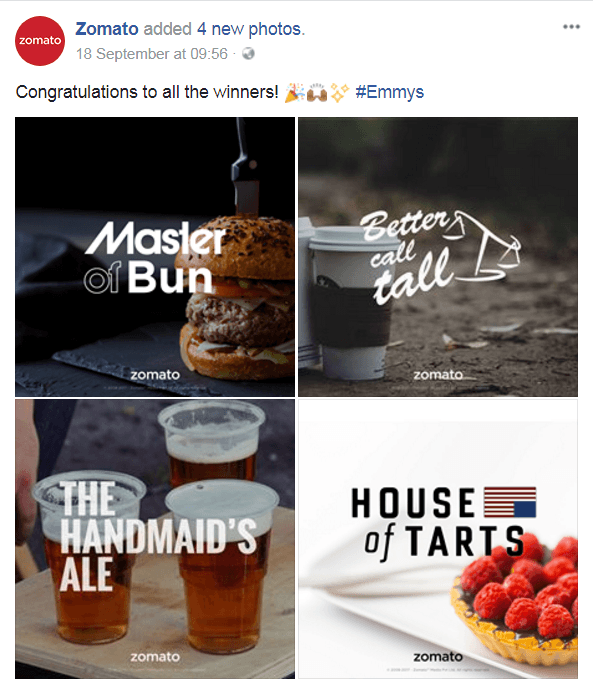 Leveraging on the #EmmyAwards, Zomato created fantastic set of creatives for their social media. It was indeed an easiest way to be a part of trending topics as well as talking about the products and the brand. Social media graphics are the easiest and quickest way to respond to an event or news. This plays an important role in your content marketing efforts especially if you want to establish the thought leadership. When an expert from the field talks about that specific trend through your work and communication approach, it creates a different impact. Opinion pieces let people understand your POV, and when accompanied with relevant keywords, it helps in your content marketing. Apart from this, you can also use the trending content to create collabs between the brands, video snippets that showcase the work life at your company, festival wishes, and so on. As we proceed in the digital age, the difference between social trends and hard-core marketing will inevitably become thinner. So it’s always a wise idea to create content that is relevant to the events happening around us. Brands are no more just about selling, they’ve become part of people’s lives on social media platforms. Being agile and keeping check on social media is a crucial element for content marketing today, and in the days to come.